Windows 10 Migration what are the key points? 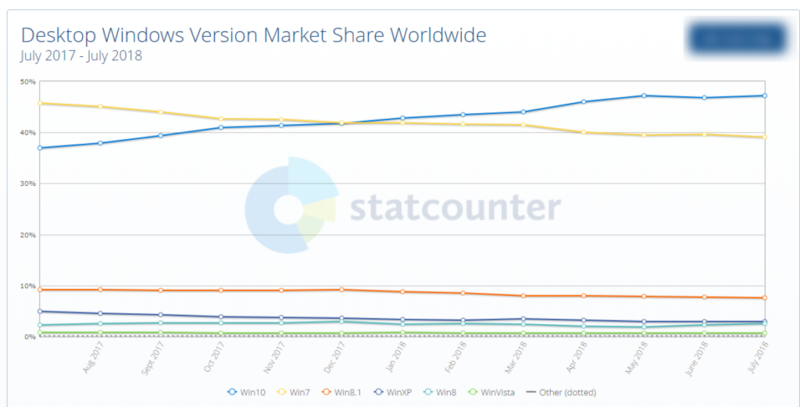 As of July 2018 Windows 7 still has 40% of market share so there is 40% chance you are having issues planning, testing and/or executing your Windows 10 migration . You already started a migration that is not moving as fast as expected, or having issue starting it ? We will just start with summary of the presentation that can be downloaded at the end of the page. OS migrations are always a good time to put new features in place. Improve security, mobility, reliability while planning your windows 10 migration. IT teams should use this migration to enable some of the key features that have been improved since windows 7: Bit-Locker, UAC, Direct Access, Updates Cycles, bandwidth management, etc. Setting your goal is important before starting as every point will depend on this. You should definitely stop here and consider this question carefully. Microsoft recommends to use LTSB (LTSC) only for specific use like any machine, ATM or any computer not running daily business. Microsoft is enforcing enterprise to use CBB edition by limiting feature and support for LTSB editions. For instance Surface are not supported on LTSB, some of latest processors are not supported, and Windows 7 to windows 10 LTSB upgrade is not available, one of those might be limiting for you. However in most of the enterprise the update cycle with Windows 10 is complicated to maintain, less tech-friendly users can be lost every few months, updates are slow to install, support and documentation is complicated to do with forever changing OS. Sorry I won’t give you a yes or no here, just saying it depends on your case, your environement. Deployment of operating system and management is also a key here. Depending on your size and number of machines to manage you can either deploy your machines manually, or us a deployment tool. SCCM is the leader for endpoint management and can assist you end-to-end, from inventory to servicing including anti-virus, updates etc. If needed find a partner to assist you, the good partner can assist you to be quickly ready to upgrade. Before starting your migration you need to make sure user will get back all the data they need and easily find them. IT Team has multiple options to ensure safe migration of user data: profiles, USMT, scripts for backup and restore some data or third party tools. The key is to make sure you can verify that data has been successfully saved before moving forward. In-place upgrade can also be an option in some cases. Your users are the key for your business operations, ensuring that they get proper training before and during the migration is the key of a sucessful migration. As peoples react differently to changes and some are more IT skilled it is always better to provide different levels of training by level. Ensure all your users have the applications they need tested before starting migration. It sounds basic but that is the key to ensure smooth migration. For this select some key users that will test their environment. Selection of those users is the key. Correctly plan migration phases and users training. Give you some reasonable phases timing and respect them. Need more help for your windows 10 migration? To get the full presentation enter your name and email, it’s free.